Potty training is an essential part of owning a puppy. If you live in an apartment or a space that doesn’t have a backyard or greenbelt handy, this could be somewhat problematic. Potty training “puppy apartments” have hit the scene to make this process easier. Do they work? The trick to successful potty training isn’t working with your dog until he figures out where to go pee. It’s all about reinforcing positive behavior while keeping opportunities for negative behavior to a minimum. This also reinforces the bond of trust between you and your pooch, ultimately leading to a healthy relationship. Theoretically, this means that you can train your dog to do his business pretty much wherever you’d like him to. This rationale serves as the backbone for puppy apartments. They are designed not as an alternative to outdoor relief as much as they are a tool to promote positive behavior. What is a Puppy Apartment? A puppy apartment may sound like a pretty fancy getup for the uninitiated pet owner. In reality, it’s essentially a crate with an attached bathroom, a domicile reminiscent of a whelping or nesting box. While there are similarities between the two, there are also a few distinctive differences. For instance, both spaces feature a designated potty zone separate from where the dogs would sleep, eat, and drink. This directly plays into a pooch’s instincts, since they do not sleep, eat, or drink where they do their business. 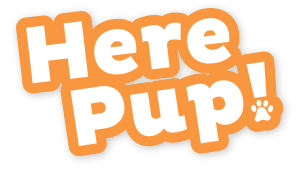 The key difference between a whelping box and a puppy apartment is that a puppy apartment has multiple entryways, whereas a whelping box will only have one. Typically, the dog will have an entrance that leads to the potty area, and one that leads to their sleeping/dining area. The basic mechanics of a puppy apartment are quite simple on paper. Typically, the potty area is much bigger than his sleeping area. This is deliberate, as it allows the pooch to do his business as far away from his sleeping area as he wants without exiting the entire space. 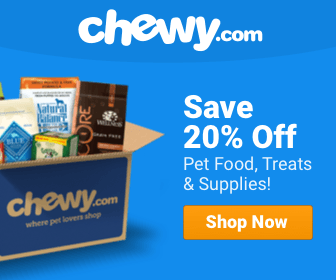 What are the Advantages of Using a Puppy Apartment? There are a few fairly obvious pluses to using a puppy apartment as a key training tool. Some of these advantages tap into the dog’s innate instinct, such as the aforementioned separate space for potty and sleeping/dining. Others are tied to the concept of training as a whole. For instance, the puppy apartment could be an effective tool for those that live in apartments, where access to a backyard or a convenient outdoor potty space is limited or non-existent. This could especially be an important beneficial if you have a brand new pup that may have to do his business every couple of hours. Besides, there are always going to be times when your pooch is cooped up indoors and is faced with a “gotta go” situation. Even though pups develop that ability to hold their waste at around 12 to 16 weeks, they can only hold it in for so long. This gives them a convenient place to eliminate – without doing so in their sleeping quarters. What are the Disadvantages of a Puppy Apartment? In a way, the primary disadvantage to a puppy apartment is how the owner may view its functionality. They might think of the unit as a training shortcut that will shave off hours of behavioral shaping when it comes to waste elimination. This is completely inaccurate. If you plan on expecting your pup to use the puppy apartment the way it’s designed, you still need to work with your four-legged friend so that he knows how to it’s supposed to work. Without this process, the contraption is just going to look like an enlarged crate. This is especially important when the puppy discovers the outside world beyond your home or apartment. 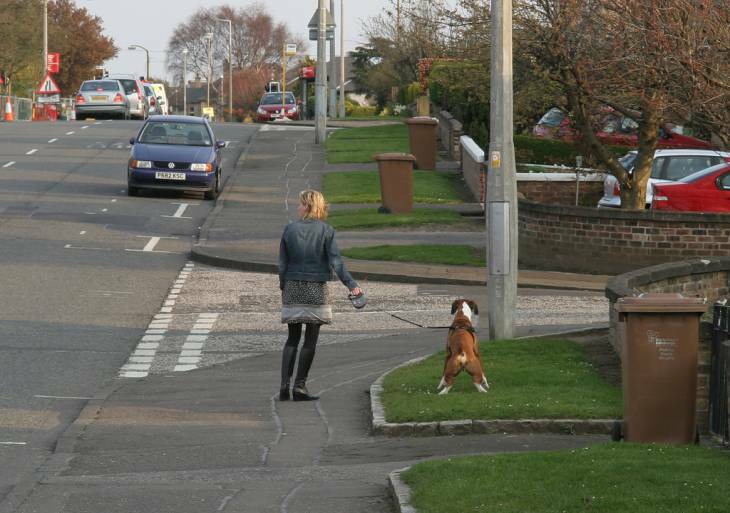 If you take your dog out for a walk, and he notices that he can do his business wherever, he may get the idea that he can repeat this activity in your home. This hurdle requires patience and diligence to overcome. Perhaps the biggest potential problem that a puppy apartment can cause is that it can make an owner quite lazy. After all, the mindset goes, if the dog knows how to do his business in the space, why would he need to go out? However, this patent act of laziness is unfair to the dog for reasons apart from going to the bathroom. All dogs need some measure of exercise – even “couch potato” breeds – and they all need socialization in order to be a well-rounded dog. Take these away from the pooch, and you’re stunting his development quite badly. Don’t Forget to Keep the Potty Area Clean! If you do end up going the puppy apartment route, it is absolutely critical that you remain diligent in keeping your pooch’s space nice and tidy. If you see a poop or a pee stain in the soiling area, clean it up as soon as possible. Also, be sure to have a new liner at the ready if need be so he’s not inadvertently stepping in his own filth. If your pup senses that there’s even the slightest hint of leftover pee or poo lingering in the air around his soiling area, he will be significantly less inclined to use the space. He may even be reluctant to use the other portion of the contraption if he deems the odor to be bad enough. There is no universally right or wrong method to train your puppy on various things like how to use the potty, and using a puppy apartment is no exception. The best way to determine whether or not this device is right for you is to be in tune with your dog’s inherent personality. And if you’re in the midst of training, this may be easier to do than you think.